What a strong magnetized bar this has turned out to be. I have placed some of my heaviest knives on this bar and they do not budge. 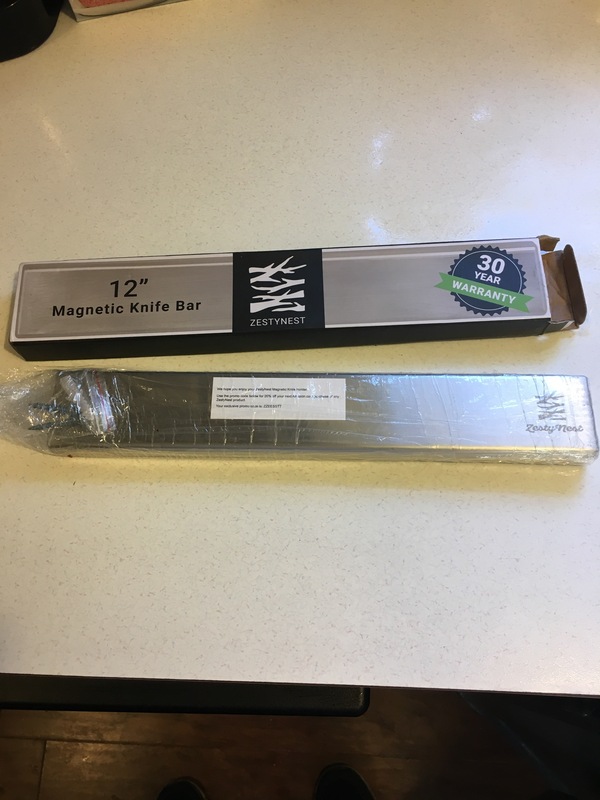 This bar is 12″ wide and holds my larger knife set. 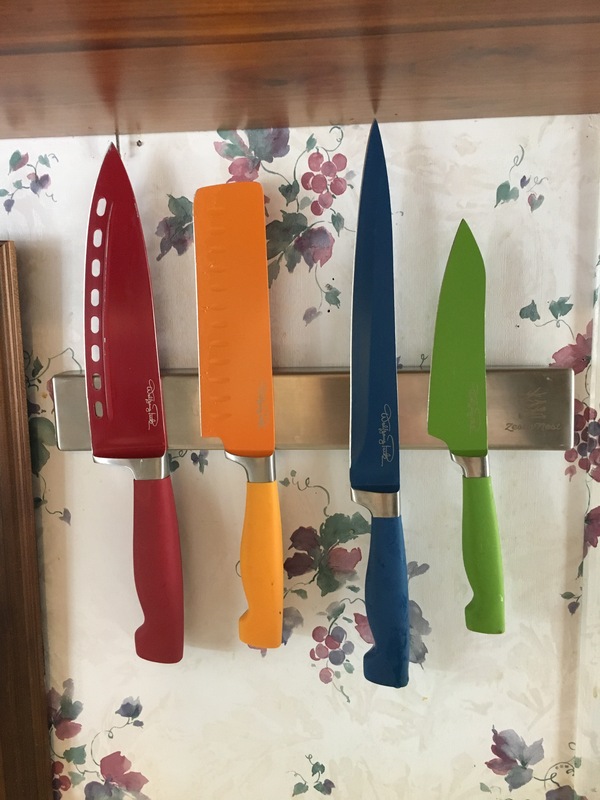 This is also available in the 18″ size if you have more knives you would like to display or have handy. My 12″ is perfect considering I have little wall space available in my kitchen. Installation was a breeze with included screws. You will need a philips screwdriver to install. The stainless steel look is very appealing and coordinates well with other stainless accessories. It adds a modern feel to the space and provides a needed expansion of storage room in my case. I recommend this as it is good quality and asthetically pleasing. Whiskey a Rocks by Frosty4 available on Amazon. These arrived in a bubble envelope with out the benefit of bubble wrap or padding of any kind. That being the case, the box that contained the stones was somewhat scuffed. Now the stones are just that, stones, so of course they were not defective in any way but if this had been a gift for someone, it could have been an embarrassing moment. 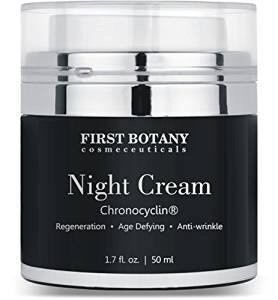 All of my close friends and even some not so close, are aware that I review items often and stand a chance of being the beneficiaries of my goods. One of our friends who indulges every now and again in the liquid gold had never heard of these stones so I thought he would be the perfect guinea pig, oh I mean judge. Being excited to receive the box one night, he placed the stones in the freezer but for a shorter period of time than recommended to get them brrrr cold, the stones were removed and placed in a drink he was enjoying. Well of course they were not brrr cold but they were cool anyway. Cool. Yes they were way cool, as in totally the coolest thing he had seen since the iPad came out. Realizing the stones were just showy cool and not temperature correct, they were placed back in the freezer to come to that exact point of perfection in a glass. The next evening, the stones were pulled out of their frosty abode and once again placed in the bottom of the whiskey glass. Aha! That was it, the drink was cooled properly and didn’t get watered down. Three stones were used in the glass which is the recommended number. Once the drink is downed, simply rinse the stones and place back in the freezer. No need to use special procedures. These are real non-porous granite stones. The only thing I would recommend for this item is better packaging and more eye appealing boxing for gifting purposes. The velvet like pouch is indeed a nice touch.